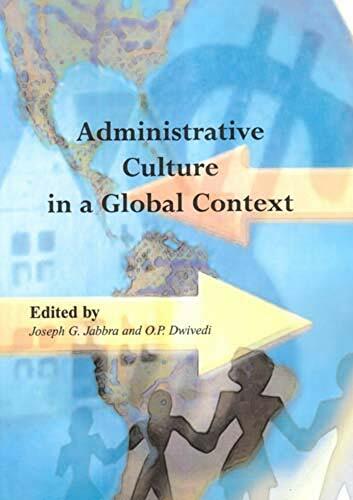 This book provides an overview of the administrative challenges facing various nations. While bureaucratic structures among nations appear similar, the methods of conducting government business vary from nation to nation. It is clear, however, that the process of globalization has narrowed the differences in the operationalization of all administrative systems; practices are being changed to comply with international requirements due to liberalization, the WTO, and the pressure brought to bear upon governments by multinational corporations. Is it possible that the twenty-first century could create one universally understood administrative culture? Would this be an imitative and replicative system of public management, as more and more Western values and practices are instituted everywhere? The editors of this volume believe diversity in thought and action is more desirable than the self-proclaimed universal paradigms originating in the West and will ultimately lead to a just and sustainable world. It is apparent that globalization is inexorable; thus, the major challenge before the non-Western nations will be how to maximize the positive effects of globalization and yet keep their identity and their indigenous systems alive, but with proper accountability and transparency in governance. A thorough understanding of administrative culture will be necessary to meet these challenges. Fortunately, for scholars, students, and policymakers, this text is an important first step in understanding administrative culture in a global context.